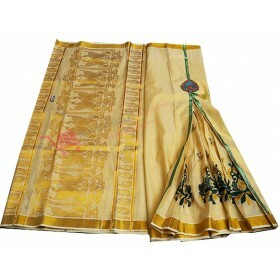 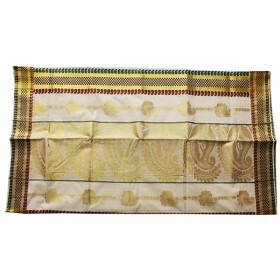 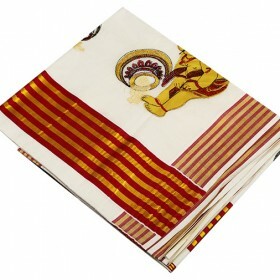 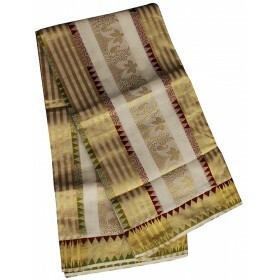 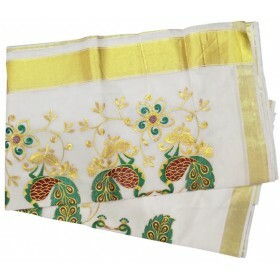 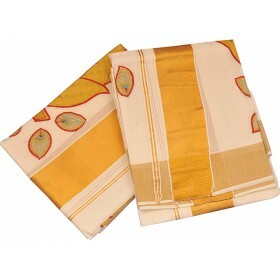 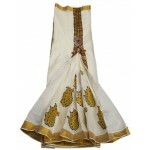 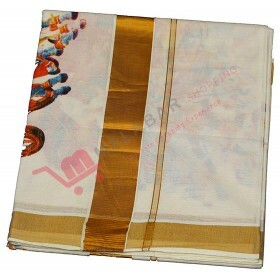 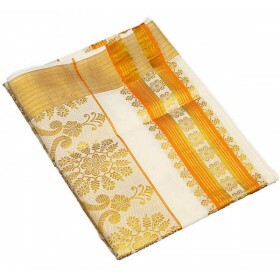 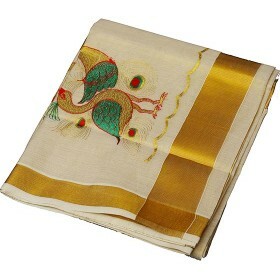 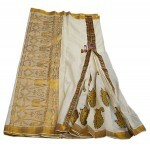 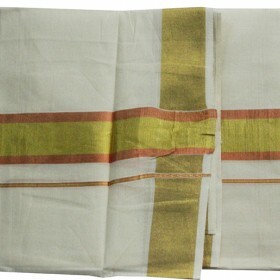 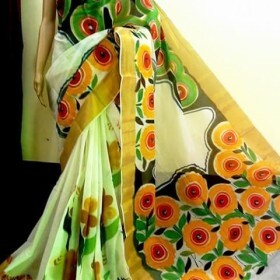 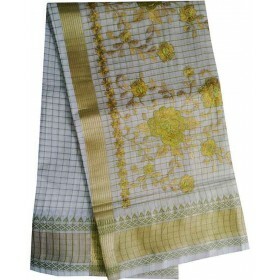 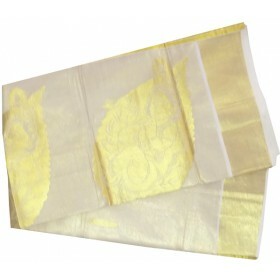 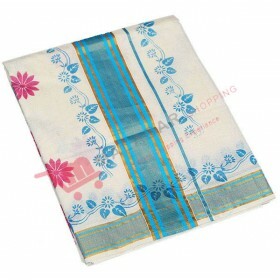 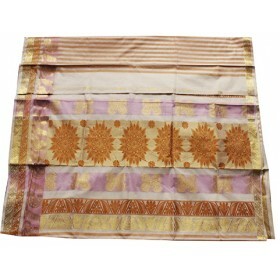 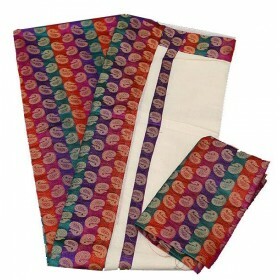 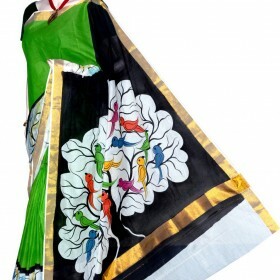 Kerala Kasavu Tissue Embroidery Fleet Saree is the new design trendy saree for modern life. 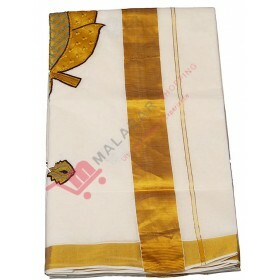 Fleet is in stiched format and it having the embroidery design work. 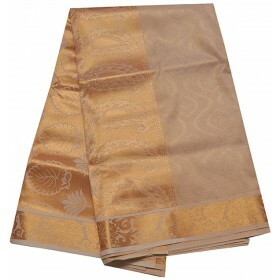 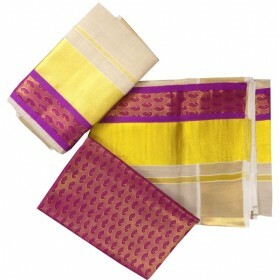 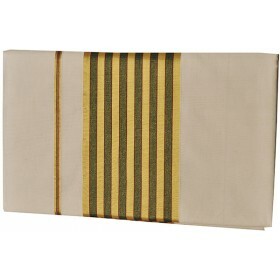 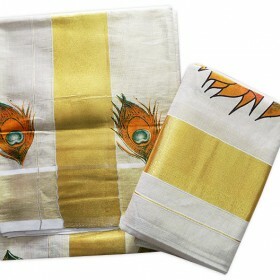 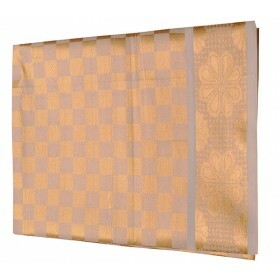 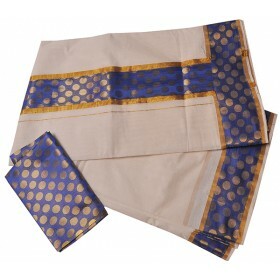 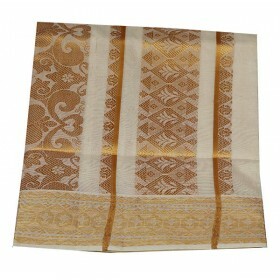 Saree Muthani gives the feel of rich royal look with golden kasavu work.